Smoothies make a great start to your morning. They can even make delicious treats throughout the day! I was inspired by the healthy and beautiful chioggia beets and really wanted to tie them into a smoothie recipe. Beets and Berries can help boost energy and can help detox the your body. Since Valentines day is around the corner we all tend to think about hearts and love…well did you know that pecans can be very beneficial for heart? 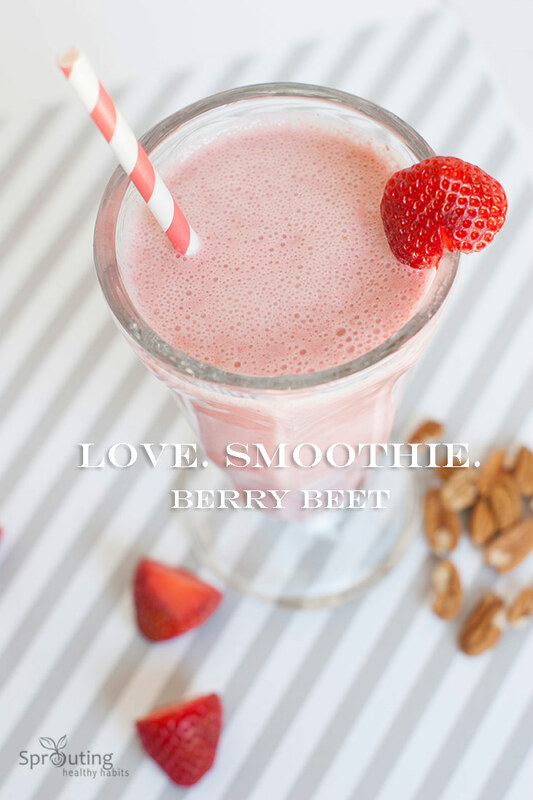 They are, and that gives you a great reason to add them to your smoothies! I was so excited when I found the Chioggia beets (also called striped beets or candy cane beets) at the farmers market so I immediately purchased some. I love juicing them too! 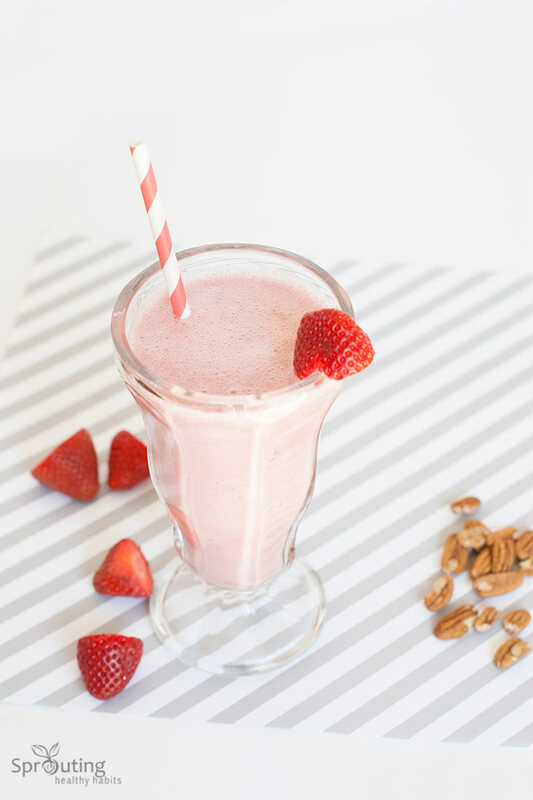 Hope you enjoy this smoothie and single or not, I hope you have a wonderful Valentines Day! 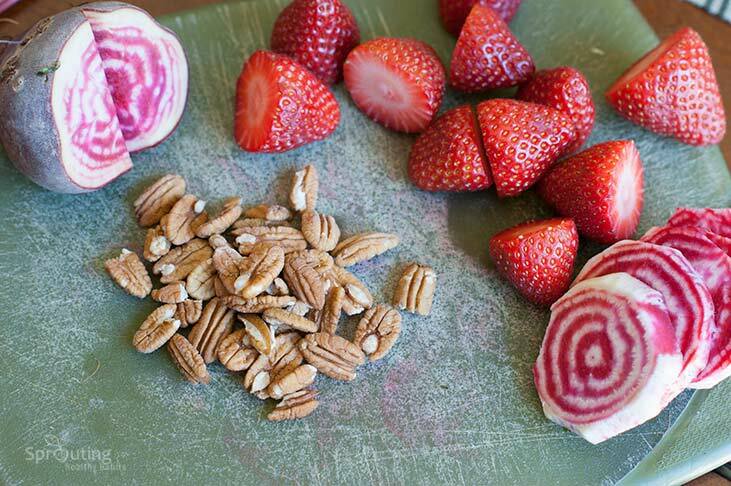 Aren’t those beets just gorgeous! 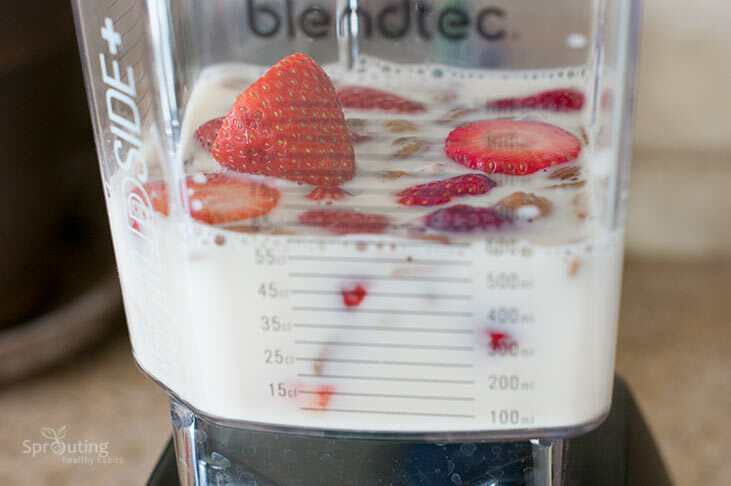 Add in all of the ingredients to your blender and give it a whirl! Make sure to subscribe below for the latest updates on posts. Also, visit Our Drinks Section for more delicious recipes! Thank you for the kind comment Jealsea! Your blog is adorable I love your Elsa dress 🙂 Best wishes!